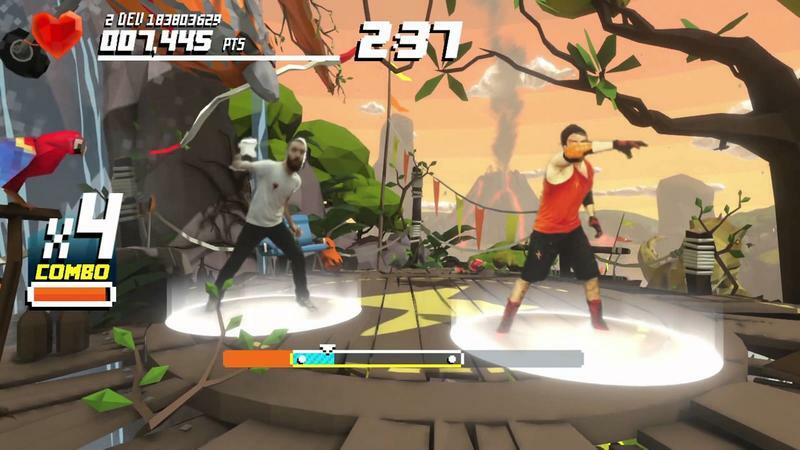 Since motion control became a thing in the gaming world, publishers and developers have offered options for getting in shape without leaving the house. Think of Wii Fit, for instance. Nintendo brought in the balance board and Wii remotes to get gamers moving in order to lose weight. That worked for some. I knew a few kids in college using Wii Fit alongside other exercise to get in shape. I also saw others use only the game, never tweak their diets and not exercise in any other way. That, of course, didn't work. Shape Up is the newest entry in this exercise genre. It's being made by Ubisoft, and it's exclusive to the Xbox One and its fancy new Kinect. It's not just a game; Shape Up includes meal plans and a companion app for the exercising you'll do beyond the home. It looks silly and consistently varied enough to actually work. As someone who gained way too much weight in college (woo, beer) and subsequently worked on taking it off until only a year or so ago, I know that losing weight is a lot more than working out. You have to change your entire lifestyle, and it looks like Shape Up will help you exercise, eat right and work out beyond your living room. We aren't slated to review Shape Up. If you folks are interested in hearing more about it, perhaps we'll look into building full coverage. For now, enjoy the trailer above. Shape Up is out now on Xbox One.